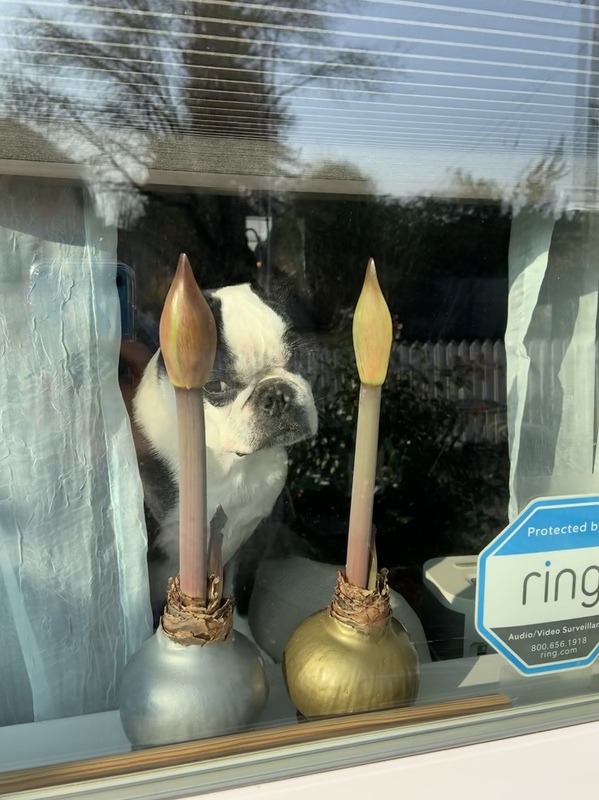 Upon my return home from the pharmacy this afternoon, this funny little face surprised me in the window. Paisley is sitting on the back of the couch, looking out the window between the two new Amaryllis stalks growing from our wax-covered bulbs. Her look of reproach makes me giggle. I love being greeted by this sassy, sweet girl! Can you spot me in the reflection? Today’s #OneGoodThing was laughing over our adorable neighborhood watchdog with Mama! What was your #OneGoodThing today? Please share in the comments! Day 31 of 365. And Day 1,127 in a row (here’s the first 366, & the following 365, & the third year of 365 good things)!